Admittedly I'm a brand new Affinity Designer user. I purchased Affinity Designer for work on one specific image I purchased from Shutterstock. I'm very used to Sketch for UI/UX Design. Basically, I'm trying to do the following very basic steps with Affinity Designer. The image I purchased is a .EPS, and loads fine in Affinity Designer. The download is a rectangle with a lot of white space at the top and bottom, I need to remove the white space, and just focus on the image. The download is 452x452. The goal is to create a @2X and @3X images for Xcode Assets. I created an artboard around the image, and the artboard is 378x226, not quite the size it needs to be. I need to scale it so it's close to the 454x267 size I need and then export to the scaled sizes for Xcode Assets, which would be 2x (908 x 534) and 3x. (1362 x 801) all the while maintaining the pixel perfect image. 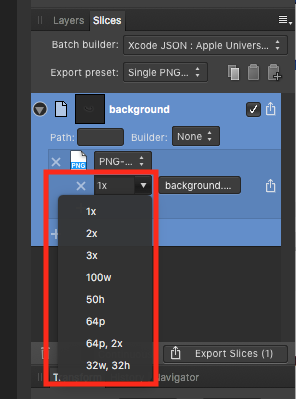 I recommend using the Transform tab towards the bottom right of the app to resize the ArtBoard to the correct size for you You should then be able to use the Export Persona to export the image to 2x and 3x respectively.